Young artivist helps a community heal through art; people are mobilizing to help her, and we hope you’ll too. By Lupita Peimbert. Photos by Jeff Kan Lee. Two stories converge here. One is about bringing the opportunity of experiencing art to children and youth affected one way or another by neighborhood violence. 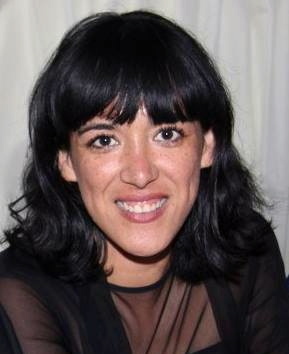 The other is about Maria de Los Angeles, a young woman currently studying fine arts at Yale University School of Art, who instead of spending her summer vacation at the beach or with friends like any 20-something, is giving her talent and time teaching art to young people. 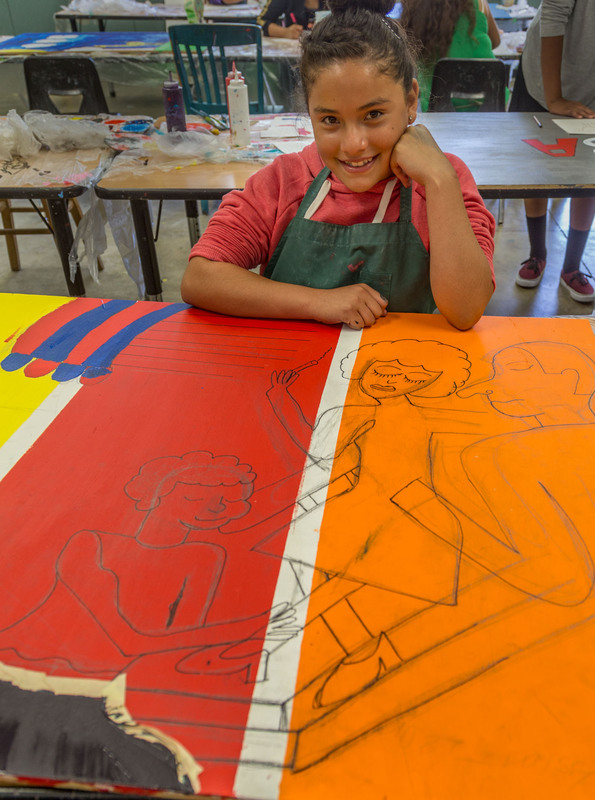 Daisy Soto, 12, with her art done at the One City Arts program at Cook Middle School. The program began July 7, has close to 50 students, a handful of art teachers and assistants, and it will continue until August 8. It has the support of the superintendent of schools and the principal of Lawrence Cook Middle School, in Santa Rosa, California, where the program takes place. “For many of these children, this is their first opportunity to work with proper materials and to have the guidance of Art teachers. The course curriculum includes the basics of drawing, color theory and design. I am very excited about what they will learn and what they will create,” says Maria de Los Angeles. One City Arts is teaching Michelle Torres Romero to explore several painting methods, and she shows her abilities with this piece. The project costs $30,000 for expenses such as art supplies, teacher stipends, teaching assistants, breakfast, lunch, and carpentry. Program and classes are going on although Maria de Los Angeles does not even have half of the needed funding. That is when you, the one who is reading this, can help. Don’t turn the page –or better said, don’t go click somewhere else, please stay with me. 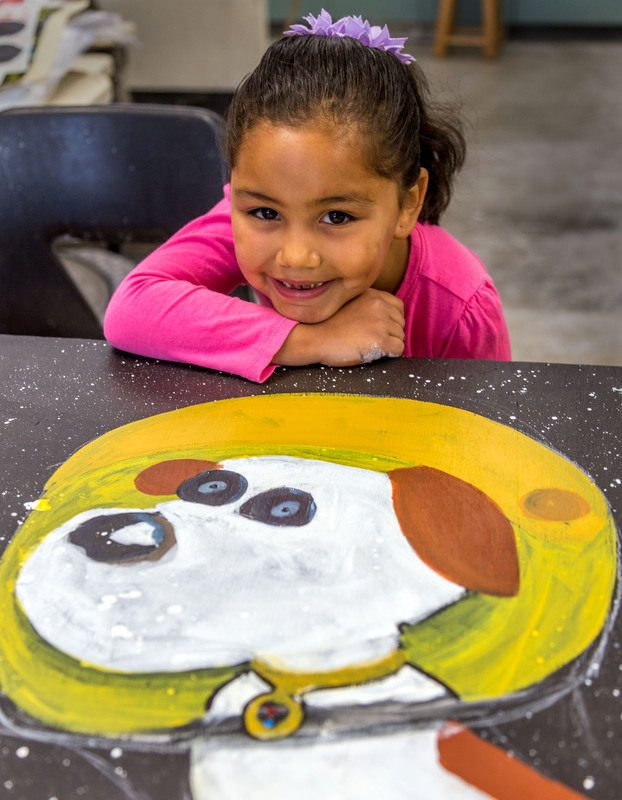 Stephanie Flores, 7, painted this space dog at the One City Arts program at Cook Middle School. A group of community and business people from Sonoma County known as “Los Cien,” and their friends, have responded to Maria de Los Angeles’ call for action and have set the goal of $5,000. She is working on establishing a non-profit “One City Arts,” and meanwhile Community Action Partnership (CAP) is acting as fiscal agent for collecting funds so that the summer arts program does not end in red. It is transparent, and it is good, but Maria de Los Angeles still is short of funding. Dear reader, your part is to decide to share a bit of your resources for something worthwhile. 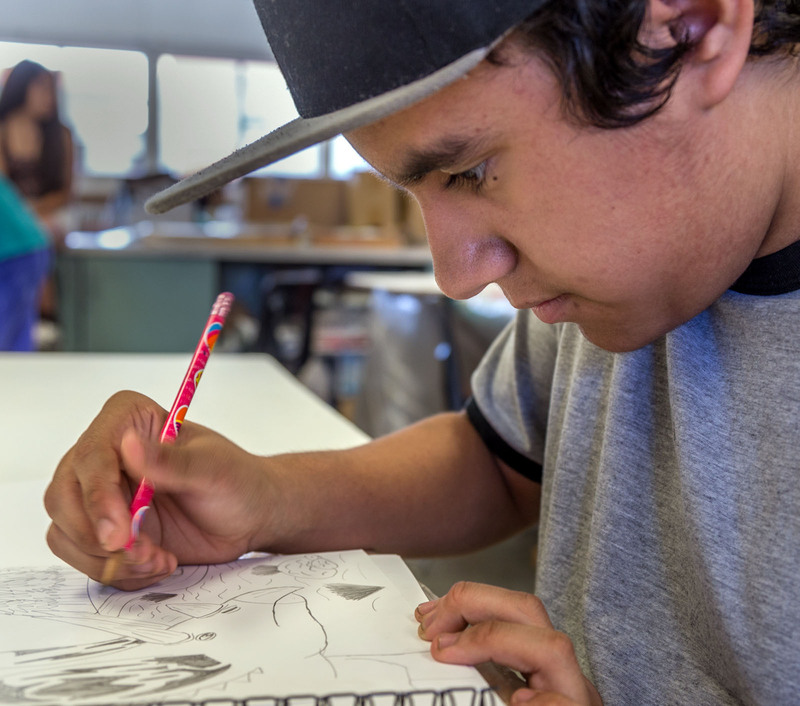 Steven Morrison, 14, concentrates on his art at the One City Arts program at Cook Middle School. Gael Vargas, 5, contemplates where he will lay his brush down next during the One City Arts program at Cook Middle School. In case you were wondering, the program is running in the Roseland area of Santa Rosa in Northern California, a neighborhood affected by spurs of violence and the area where the Andy Lopez tragedy occurred. The majority of residents are low-income, monolingual Latino working parents and their children; often under-served and often affected by social injustices. 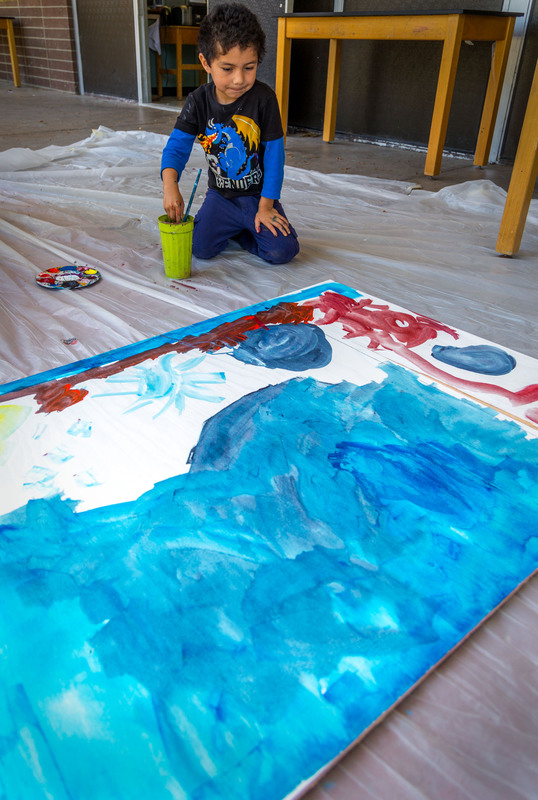 Yet, just by looking at the paintings the kids are creating, one cannot but smile, like Maria de Los Angeles does every time someone asks how the program is going. Maria de Los Angeles, MFA student at Yale University School of Art. Maria de Los Angeles gives special thanks to Voices Youth Center, who first provided some funding, and to the following businesses for their support: Friedman’s Brothers, Riley Street Art Supply, La Tortilla Factory, and Lola’s Market. Also to Photojournalist Jeff Kan Lee. 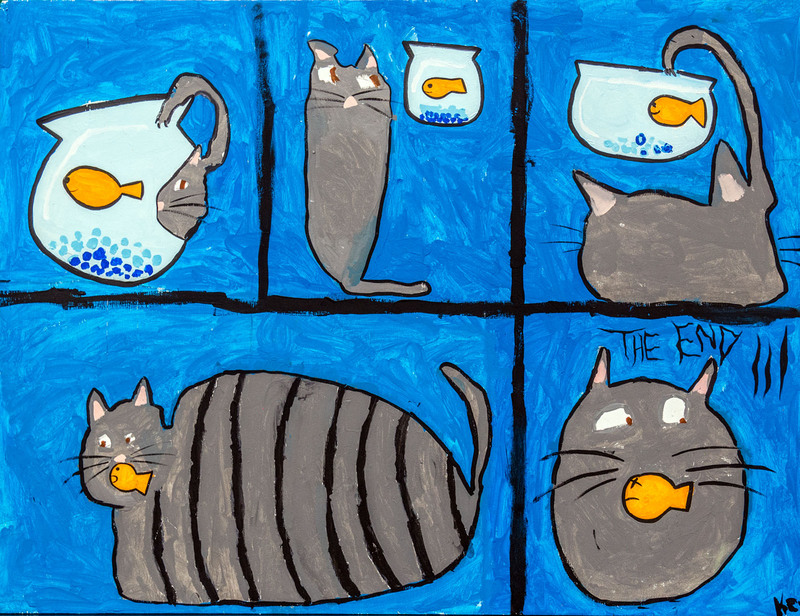 Kevin Santiago, 8, shows great story-telling potential with this piece involving a cat and a fish. 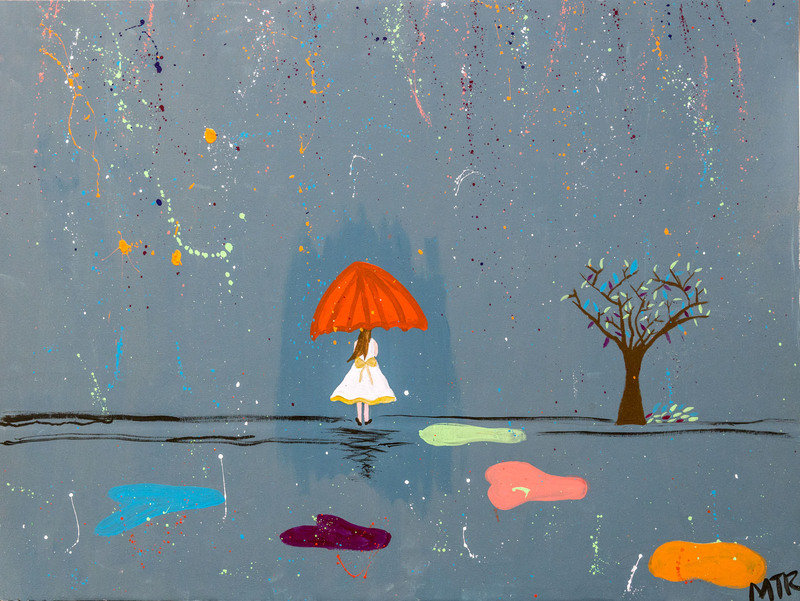 If you wish to contact Maria de Los Angeles to donate, or to buy some of her paintings, please let me know and I will be happy to connect the two of you. (Lupitanews@gmail.com). I wrote this article hoping that others will feel inspired to support the young Artivista by donating to this program today. Next 40 years. This is How You Support The Community.